Learn what to look for in your document scanning company. When given a choice, most people would not choose to spend a large portion of their workday scanning paper files into a computer or a document management system. It is time intensive and, frankly, pretty boring work. But it is also hugely important since your business needs easily accessed digital files to run efficiently. However, document scanning is a process that you can easily outsource if you can find the right company. Here are four things to ask about when you’re trying to choose your document scanning company. Make sure the scanning company you choose has the right technology, in terms of both scanning and security. They should have up to date hardware and software, and they should regularly refresh their infrastructure. Before you sign on, make sure that they can handle large volume scanning jobs and have them show you how accurate their document scanning software can be. Next, ask about their security. They are going to be keeping your confidential files on site at least while they scan them if not longer, so make sure they have fire and theft protection. They should have CCTV systems, a modern security system, and fire suppression, at the least. Check the reputation of the scanning services provider within the business community but also within the records management industry. Look for someone with a strong history of service. Micro Records has been in business for over 50 years and has spent the last 20 years fully immersed in the document imaging world. Look for a service that devotes time to fully training their staff. Don’t be afraid to ask about how much training the staff receives and the types of background checks they do – after all, they will be privy to your sensitive data. Federal law dictates how long certain paper files have to be retained, often somewhere between five and ten years. A good scanning service will have expert knowledge about these requirements. They should be able to efficiently sort the document after scanning them, keeping what needs to be retained and destroying what doesn’t. They should also be able to store those documents for you for a reasonable cost. Due to our companies outstanding 2017 sales, Digitech Systems has selected Micro Records Company as A 2018 Gold Star Partner! 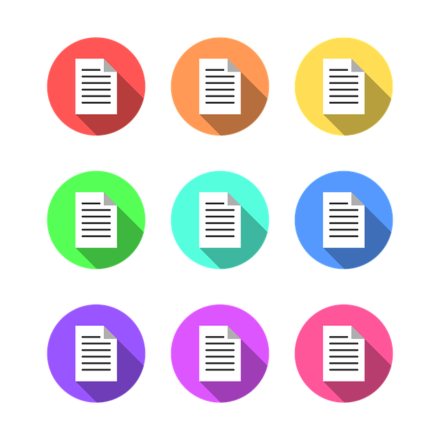 Micro Records can help your business transition to a paperless way of life with quality e-forms and technology. For more information about how we can help your business utilize proactive monitoring, transition to doing things digitally, get rid of sensitive documents securely or benefit from new technology solutions, visit us online or give us a call at (877) 410-SCAN. For more tips on transitioning your business to paperless technology and going green, follow us on Facebook, Twitter, LinkedIn, Google+, YouTube, and Flickr. This entry was posted on Friday, December 7th, 2018 at 1:40 pm. Both comments and pings are currently closed.